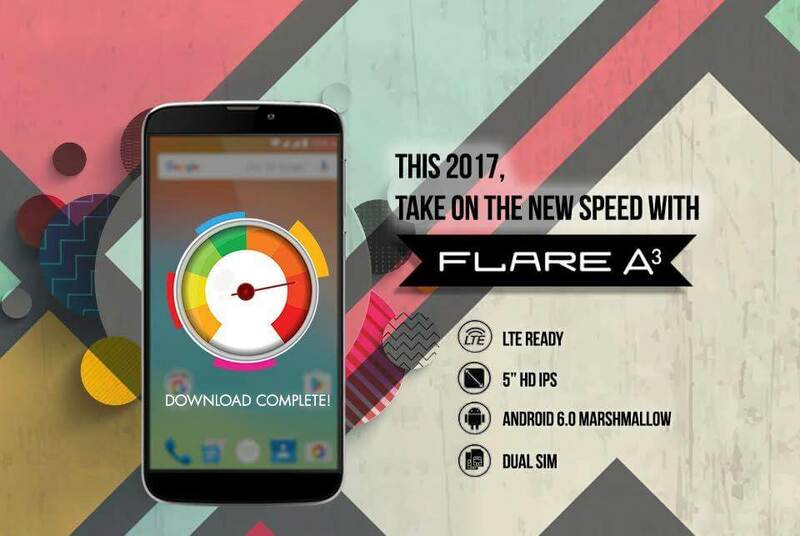 The new Cherry Mobile Flare A3 smartphone provides higher internet access speed with its LTE feature. You can connect to 4G/LTE network to any of our Telcos as long as it’s already available at your location. Of course you need to get an LTE SIM card, get it at your load retailers and sellers at a very affordable price. Since 700MHz is already rolled out in Philippines, you can benefit with the more stable connection and faster download speed using your Flare A3. A 5-inch screen smartphone with high definition display, 1280x720 resolution IPS technology feature. The suggested retail price for Cherry Mobile Flare A3 is 2,999 pesos only, maybe soon you can watch for discount and sale. For an entry level phone with this list of features, we can say its worth for under 3K price range. You’ll have all you want for an Android phone, from the 8-megapixels main camera that you can use to take portraits to 2MP front cam to take selfie photos. In terms of performance, you have the 1GHz quad core processor from MediaTek paired with 1GB RAM. Talk about storage, the Flare A3 has 8GB space for internal and is expandable via micro SD card with up to 46GB max capacity. The battery power also is loaded with 2300MAh, enough to run all your need task including apps and minimal gaming. Of course you can’t miss the smoothness and responsive UI experience with Android 6.0 Marshmallow operating system. PS: You can also check out and compare CM Flare A1 as the have almost identical specs. If you like Cherry Mobile Flare A3 and you think the price deal is a thumbs up from you, do share this post to your contacts to let them know the good news. How can I change the lock screen wallpaper?